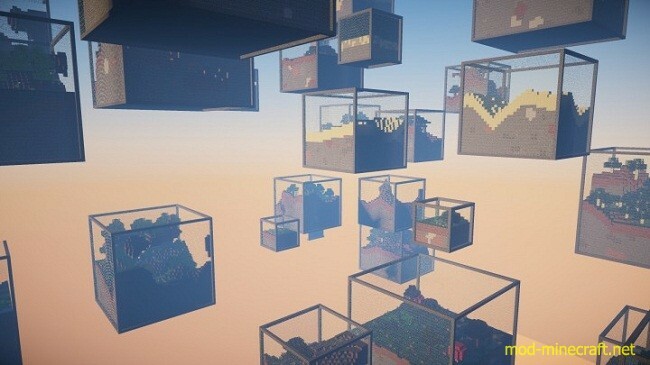 Cube World is more than a Minecraft mod, it is a terrain generator.This mod provides a new world type made up of floating glass boxes with different terrain inside of them. – Fixed hostile mob spawn bug. – Fixed bug causing hang during world generation. – Moderately improved performance while loading the overworld. – Re-coded entire mod from scratch due to changes in Minecraft 1.8. – Wither Skeleton, Blaze, and Lava Slime dungeons added. – Vanilla tree/grass/feature generators now used, more features available as a result. – Cubes of any size can spawn, and are no longer aligned to the chunk boundaries. – End Fortresses redesigned, are smaller and more cubical. – More mobs now spawn when the world first loads. – Cubes spawn more densly: more cubes generate in any given area. – Updated to Forge V10.13.0.1207, better supporting 1.7.10. – Fixed intermittant multiplayer bug, which caused the server to crash because of the world being unloaded. – Slightly improved the Ender Glass and Nether Glass textures. – Added server installation instructions. – Updated descriptions, mod is compatible with 1.7.10. – Mod is now a Forge mod! 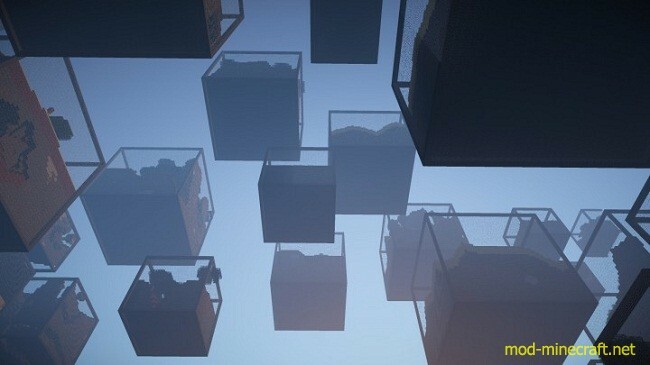 – Added in cubes which contain snow, ice, and spruce trees. – Adjusted spawning probabilities – diamonds are now more common. – Added in randomly generated end cubes, which contain both some loot and a completable end portal. – Added an end generator, so the game is now completable. 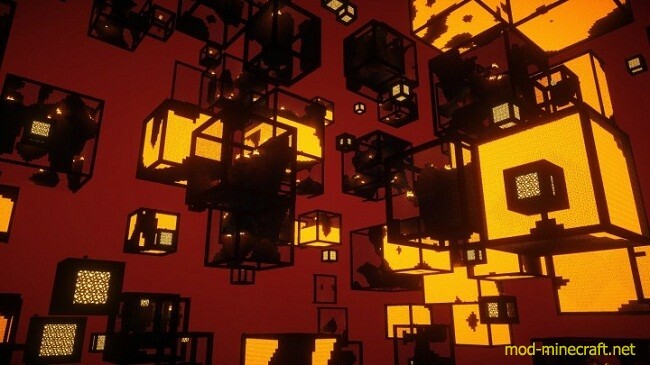 – Nether cubes have nether glass, which is stronger than normal glass. – Ender cubes ender glass, so that the ender dragon will not destroy the end cubes. – Flowers now only spawn in forest cubes. – Mushrooms now only spawn in mushroom and swampy cubes. – Trees can only spawn in their own biome (occasionally they spawned in others). – Swampy cube’s vine generation is less buggy. – Lily pads only spawn in swampy cubes. – Cocoa beans no longer spawn on swampy trees. – You now spawn inside of your starting cube. – Nether cubes contain patches of gravel and soul sand, to ease farming of flint and nether wart. 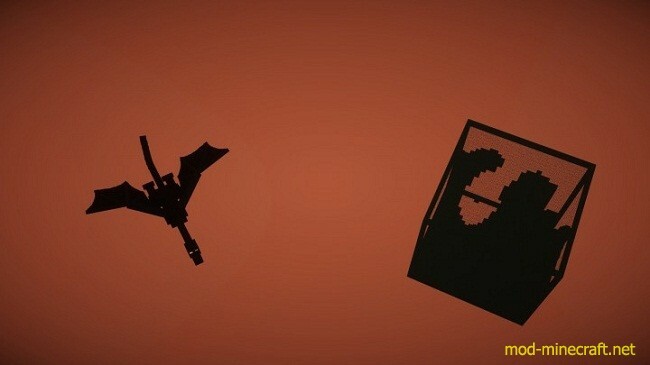 – New Forge generator uses a different id system, but it should be able to convert correctly. – Tweaked some spawning probabilities. – Added more lava into the nether cubes, including some partially filled with lava. – Loads the world much faster, shouldn’t lagspike while building new chunks. – Terrain is much nicer, and can have mountains. 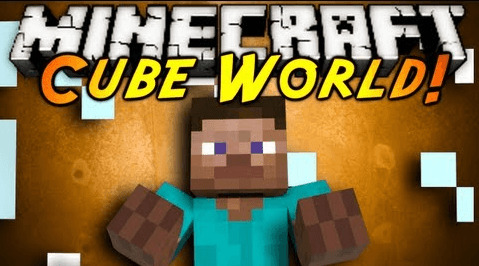 – Cubes can be partially filled with water. – Cubes cannot ever get stuck inside each other. EVER. – Ore cubes can have caves, containing water or lava. 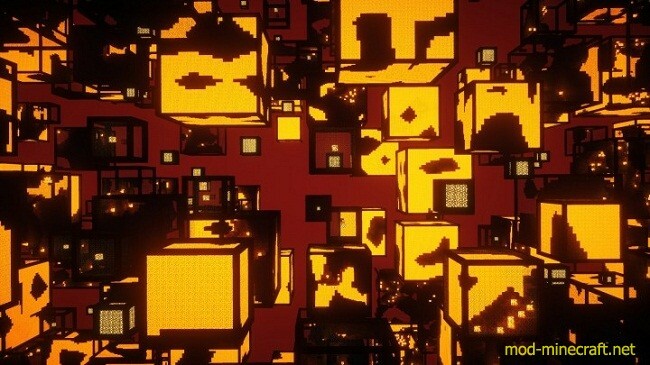 – Nether contains blaze spawner cubes, which contain nether wart. – Cubes can contain sugar cane. – Ores, specifically diamonds, are more rare. – Gravel veins now spawn. – All of the new flowers and extra tall grass have been added. 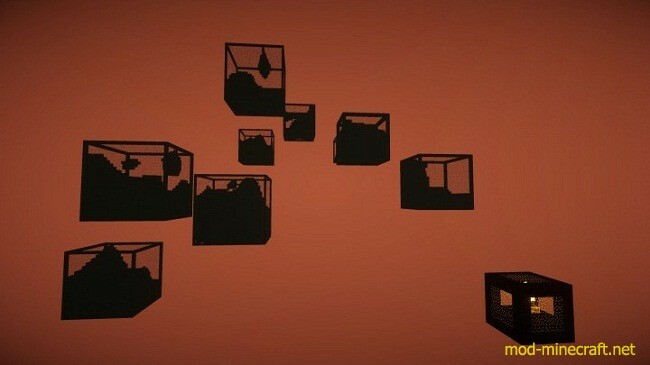 – Large and normal mushrooms can spawn in all cubes. – Added pumpkins to some cubes. – Nether cubes are much more open and mountainous. – Lilly pads can spawn randomly in overworld. – Rewrote most of the mod due to the 1.7 update.